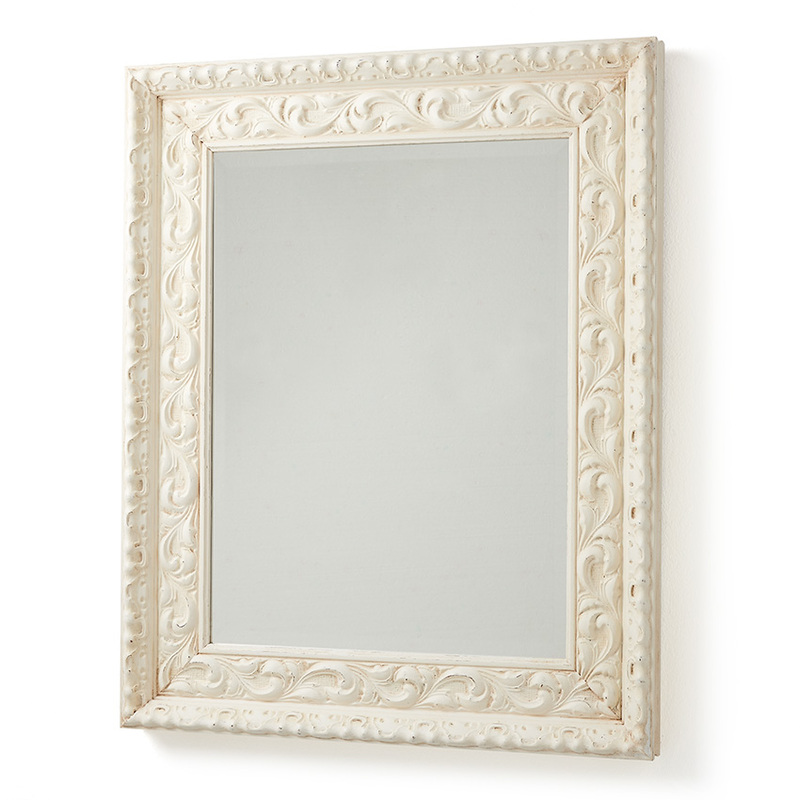 These lovely mirrors are made by hand in chunky old wood using traditional framing techniques and best quality beveled glass (which is not really visible in the image due to photographic editing!). A plaster mould is fitted onto the wooden frame and then hand painted and finished in the off-white shown and finally, they're waxed to protect the frame. 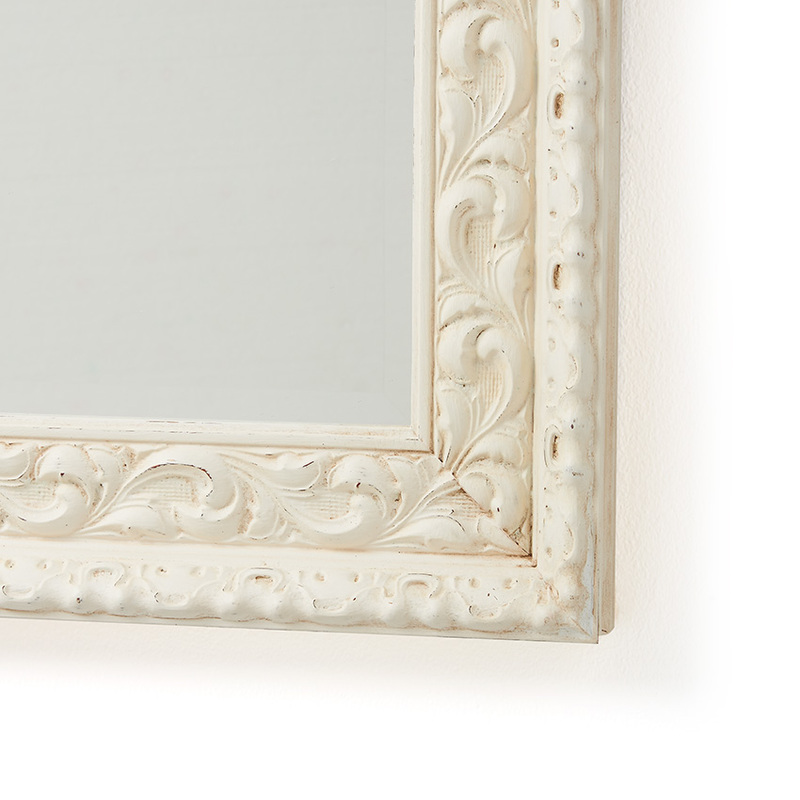 Great in almost any location, from bathrooms to hallways to bedrooms to fireplaces etc., they have a real impact due to the size and detail of the frames.